In deep appreciation for the Vedic culture, we have created this foundation as a platform to provide the financial means to allow the custodians of this Knowledge, the Vedic Pandits in Nepal and India, to have proper schools and facilities that will enable them to continue their precious training and duties. For over 20 years we have been operating our Maharishi Ayurvedic Health Centre in Bad Ems, Germany and thousands of patients have experienced the great benefits of Ayurveda. This profound and timeless knowledge of Ayurveda comes from Veda and Vedic Literature that has been preserved in the ancient Vedic cultures of India and Nepal. We are therefore honored and privileged to promote the Foundation for the Vedic Cultural Heritage whose goal is to help maintain, protect, and preserve this cherished Knowledge and cultural heritage. After completing the comprehensive training as a Pandit, employment will be made available through the charity financing the performance of Vedic Recitations and Yagyas. Thus the training is put to use and provides economic opportunities to village children, while simultaneously preserving this unique cultural heritage of Nepal. 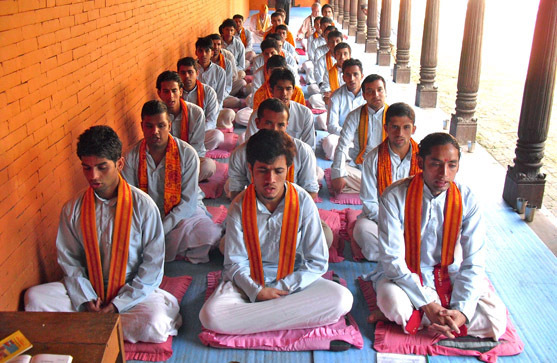 Pandits are trained experts of the traditional Vedic Science who recite the Vedas and perform specific Vedic ceremonies. 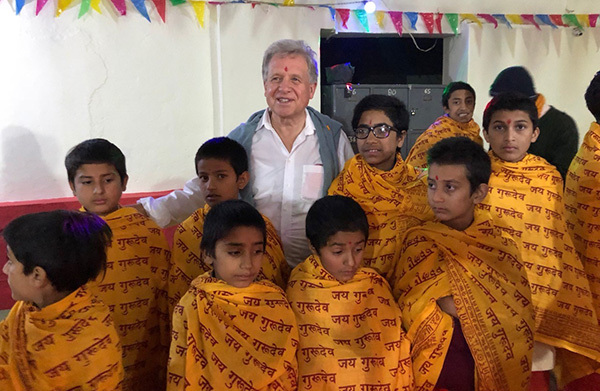 Schools will be built and run in such a way as to provide the traditional training necessary for new Pandits, as well as provide additional training for experienced Pandits, in order to assist them in preserving the Vedic cultural values of Nepal. The Foundation for the Promotion of the Vedic Cultural Heritage is recognized by the German Finance Department as a charitable foundation according to Paragraph 51 ff. AO and is able to provide tax-deductible receipts for donations. The newly formed Nepal Foundation will insure transparency of the use of its funds.